This morning as I opened my emails, my eyes went immediately to one which was sure to surprise me. “The pastor begins every service holding up and exalting the Bible: “This is my Bible, I am what it says I am.” The pastor ends every service: “Make Jesus your personal Lord and Savior.” The words of Satan? No. The words of Osteen! How about the Words of Christ? In between is a Bible based WONDERFUL message like I was reminded again this weekend. Seated is the mother and wife of his dad, the founding pastor, who is testimony of HEALING Jesus. Love and healing abound. Sin is gone and WHO would even kill a fetus surrounded by such ABOUNDING HOPE! I would love to know how many of Joel’s congregation are pro-choice. And about John Osteen (Joel’s father )- I watched him as a young woman. Solid Bible teacher. So I wonder, no longer having a decent church anywhere around and as Jan Markell points out: Most people in the remnant church have nowhere to go. WHY? Because God planned it that way at the end of the Days of Noah. The signs of the end are clear. Were it not the end, God would have raised up more Osteens because he GROWS believers. Oh, so Joel “grows” believers? How can he grow believers (true believers), when he does not stress to his congregation that SIN separates them from God; and that the ONLY way to the Father is through God’s Son, Jesus Christ? “Jesus said to him, “I am the way, the truth, and the life. No one comes to the Father except through Me: (John 14:6). “I’m very sorry that you do not realize or discern that Joel Osteen is a motivational speaker at best. Have you ever seen people being called to the altar to repent of their sins and be saved? Does Osteen ever PREACH about sin and how it separates us from a Holy God? NO. He doesn’t preach this from the Bible, which is the only way in which a person can be saved from their sins. “Jesus said unto him, I am the Way, the Truth, and the Life: No man cometh unto the Father, but by me” (John 14:6). So, Osteen is not agreeing with Jesus about how one gets to heaven. Have you written to Jan Markell about how you feel about Osteen? I really do wish that you would.” – end of my email. Jesus IS Truth. The fables of which Scripture speaks are “feel good” sermons about how Wonderful we are, and how God wants us to be free of persecution and to be affluent in this life. Think “Your Best Life Now” written by Joel Osteen. Why do you think that his congregation is so incredibly large? “For you were once darkness but now you are light in the Lord. Walk as children of light (for the fruit of the spirit is in all goodness, righteousness and truth), finding out what is acceptable to the Lord. And have no fellowship with the unfruitful works of darkness, but rather expose them.” (Ephesians 5:8-11) (Emphasis added). Brethren, notice in the Scripture above, that it clearly says to have no fellowship with unfruitful works of darkness, but that we should expose these teachings and the teachers by whom these teachings come. I ask the readers this question: “Why did Jesus come to earth?” Was it to give us our “Best Life Now?” This is far from the Truth, that it amazes me that even the “itching ear crowd” accepts it! Jesus came to earth in human flesh to live out a perfect and sinless life and then to be crucified on the Cross of Calvary as payment for all sin, for those who would repent and trust Him for their Salvation. 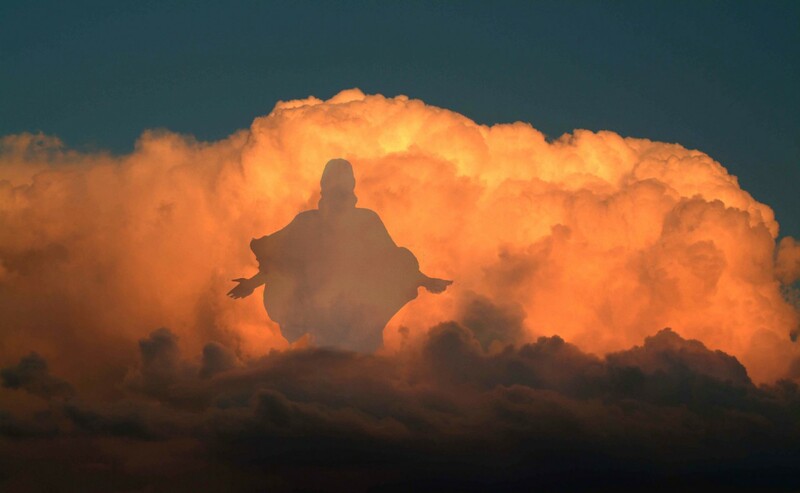 He was resurrected from the dead and is now seated at the right hand of His Father in heaven. Jesus Christ came to earth to give sinners a chance to be reconciled to His Father in heaven. That’s why he was born. And that’s why those of us who have repented of our sins, and trusted in the finished work of Christ on the Cross, will be in heaven when we die. I am not writing these things about Joel Osteen to hurt him. I pray that his eyes will be opened by the Father and that he will see clearly that he has not been preaching the Gospel of Jesus Christ. Can you imagine how many of his congregation and online audience could be saved if Joel told them the true Gospel? Yes, he would likely lose followers, but how glorious it would be if even a part of his congregation would be convicted of their sins and would repent and receive the forgiveness of their sins! We should pray for Joel and his wife. Pray that both of them will have their eyes opened to the true Gospel and will preach it boldly! Joel Osteen is an example of a pastor who fills up his church with people going to where their itching ears want to go. They want to hear about all God is going to do for them, not about what they will have to suffer for Christ if they are to be his disciple. And then Osteen ends his program with a 15-second prayer and tells people that if they said that prayer, he believes you are born again! What heresy! Where did Jesus ever say that? Wonder why Christ came to earth when all you have to do is say a few words and presto… you’re saved. I think Joel should actually open up that Bible he holds. He might actually learn something. i HAVE JUST NOW DISCOVERED YOUR BLOGS. HOW MAY I BE ABLE TO RECEIVE THEM VIA MY FACEBOOK PAGE OR EMAILS? I WOULD LIKE VERY MUCH TO SEE YOUR ANSWERS TO QUESTIONS BEING ASKED TODAY, AS I AGREE COMPLETELY WITH ALL I HAVE READ SO FAR. There is a small button toward the bottom of the front page which says “subscribe” and if you click that and give you email address, every time I write a new article it will come directly to your email. i ACCIDENTALLY DELETED MY APPLICATION TO RECEIVE EMAILS AND UPDATES ON FACE BOOK TO THIS BLOG. i WOULD LIKE TO RE APPLY PLEASE. Just click on the “subscribe” button again to get my articles emailed to you.